We sought to determine whether HBOT leads to parental reported behavioral changes and alterations in cytokines in children with ASD. Ten children completed 80 sessions of HBOT and all improved by 2 points on the clinician-rated CGI-I scale (much improved) as well as several parent-completed measures of behavior. The lack of a control group limits the ability to determine if improvements were related to HBOT. Enrolled children did not exhibit abnormal cytokine levels at baseline and no significant changes in mean cytokine levels were observed. Although this study was limited by the small sample size and by the variable nature of cytokines, we found no evidence that HBOT affects cytokine levels or that cytokine levels were associated with behavioral changes. 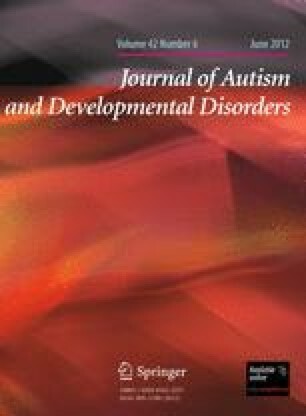 Clinical Trial Registry: Pilot Study of the Effect of Hyperbaric Oxygen Treatment on Behavioral and Biomarker Measures in Children With Autism (HBOT); NCT00584480; http://www.clinicaltrials.gov/ct2/show/NCT00584480. We gratefully acknowledge the families and children who participated in this study to help advance scientific research in autism. This work was supported by grants from the MIND Institute (Dr. Hendren) and Autism Speaks, the Higgins Family Foundation, The Emch Foundation, The Taube Foundation, NIH/NCRR UCSF-CTSI Grant Number UL1 RR024131 (Dr. Bent) and the C.H.E.R.I.S.H. Foundation (Edward Nemeth), which provided funding for all HBOT treatments.